As the Internet is becoming one of the most important components of our daily lives, more and more products and services are moving into the digital world. Brick-and-mortar locations are certainly still around, but their future is now less certain than ever. If you live in North America, it's possible that many stores in your area are closing down. While this can be attributed to your area's small population, it's also entirely feasible that you're observing the slow (and painful) transition from physical sales to e-commerce. According to BI Intelligence, many physical retailers are closing their stores in droves. For instance, office supply store Staples is planning to close 225 of its locations in the United States by the end of 2015, while clothing retailer Gap already closed 189 locations in 2012 and 2013. Stores like GameStop and Barnes & Noble are also closing hundreds of locations, with many other businesses following suit. On the other hand, Amazon, eBay, Birchbox and similar online marketplaces are prospering. In fact, Amazon's market value is so high that it's about to take on Wal-Mart, having long surpassed brands like Gap and JCPenny. eBay is also on its way toward rivalling the retail giant, though it's yet to surpass Amazon. E-commerce sales have been driving offline sales since early '00s, and the numbers have only grown since then. Many modern businesses start out as online-only ventures -- and then move into brick-and-mortar locations. One of such brands is a clothing company called Bonobos, which now makes 83 per cent of sales in its 10 physical stores. Online brands like Etsy, Birchbox and Everlane have all tried out physical locations as well -- either in the form of popup shops or temporary stores. Not surprisingly, physical stores have gone the other way, by offering more online experiences. For instance, Nordstrom bought HauteLook in 2011 -- a site that hosts limited-time sale events -- and invested into Bonobos, which has resulted in a 33 per cent growth during the first quarter of 2014. Companies like Best Buy, Hudson's Bay and others are following Nordstrom's example by making sure their websites display the inventories of their stores and allow you to purchase their products online. Some websites function purely as "gateways" into the physical retail world. For instance, Groupon lets you see deals offered by stores, restaurants and other brick-and-mortar locations. Meanwhile, my company, automotive resource Unhaggle provides discounts on new vehicles and encourages you to visit an actual dealership. One of the obvious reasons why online shopping has prospered is because it allows you to purchase items from the comfort of your own home. Not everyone enjoys the so-called "shopping experience," preferring to make a few clicks with their mouse and be done with it. However, that's not the only reason for the success of online shopping. One of the best weapons that online retailers have is the ability to track their visitors and obtain consumer data. They can tell where the majority of their consumers are located, how they reached the page, what types of sites they visit and how fast they go through the shopping process. With this information, online companies can quickly change their marketing and business strategies to cater to their customers in the most efficient way possible. It's harder for physical stores to come by this kind of raw data, which is why many of them have turned to third-party devices that let them monitor foot traffic. Apple has recently created iBeacon -- small sensors that can be scattered throughout a store to track and retrieve data from customers' iPhones. Plenty of other companies offer similar technology, and many physical retailers use it. Of course, they also have to pay for it -- on top of paying for building maintenance, electricity and other amenities. The best word that can be used to summarize the success of online shopping is "convenience." It's convenient for the consumer because they can shop from any location with Internet connection and it's convenient for retailers because they can track user data without investing into any special devices -- or paying for a physical location. 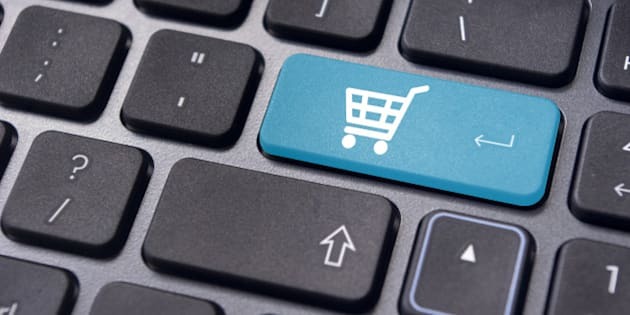 While it's tough to predict where consumerism will be even in 10 years from now, it's safe to assume that online shopping is indeed "the future." Electronics, clothing, groceries and even cars are all accessible through the internet. As such, it's really only a matter of time before a good chunk of physical retailers will either go out of business or turn to the digital world. But, apocalyptic thoughts aside, this is a good time to be a consumer!